Photography Tip - leave your DSLR camera on! If my Nikon DSLR was not on and ready I would have missed this surprise chance in Vinoy Park FloridaPoint & shoot digital cameras, especially early ones, really used up batteries a lot. So much so that people would turn them on and off between shots all the time. I have noticed this practice continues with some of my DSLR photography students as well. However, with a DSLR camera, there is no reason to turn it off between shots. These cameras automatically go into a meter-off (sleep mode) that you can choose to happen in a set amount of time, and with the meter off and the backscreen off, a DSLR uses basically no battery power. Thus, there is no reason to turn your DSLR off until you are putting it back into your camera bag at the end of shooting. In fact, this practice of turning off the camera can lead to missing shots. 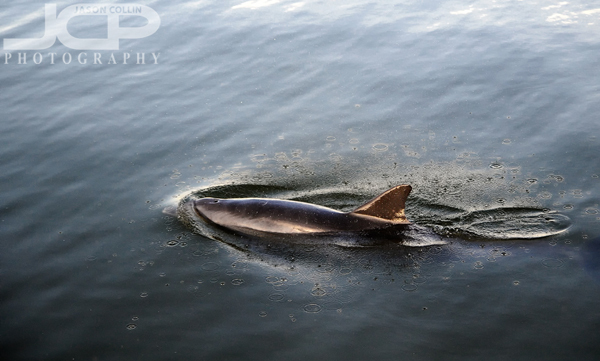 I was walking along the seawall in Vinoy Park one time and all of a sudden a dolphin surfaced right below my feet! My Nikon was on and already set in default settings for getting a good shot in the light I was in, which allowed me to in just a split second be able to make the above dolphin photo. Having to turn my camera on would have caused me to miss it. Be sure and keep your DSLR on from the time you take it out of your camera bag until the time you put in back in to make sure you are always ready to capture any sudden photography opportunities. 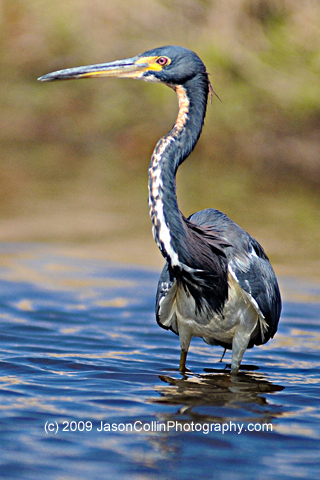 From the same kayak I photographed the Myakka Alligator, I also made this image of a tricolored heron wading and hunting in the surprisingly shallow Myakka River. It was a much less nerve racking task photographing this tricolored heron than it was the aforementioned alligator. 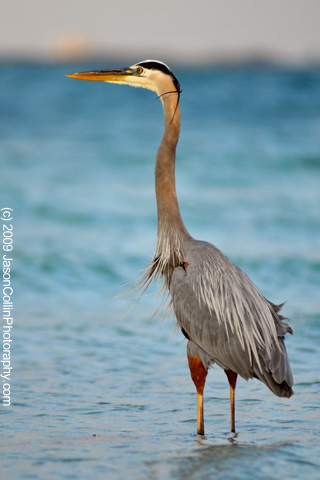 Still, I was very pleased to get this opportunity because it was my first time to photograph a tricolored heron.